Freja is using Smore newsletters to spread the word online. The puritans where a group of reformed protestants in the 16th and 17th century. They wanted a society as described in the bible, with no division between church and state. They went to America to make the world follow them. 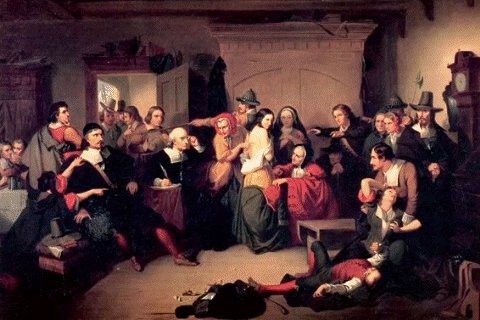 In 1692 therewas a series of hearings of people who were accused of witchcraft, wich resulted in executions of 20 people. It is believed it started in the kitchen of the reverent Samuel Parris. His daughter, 9-year old Elisabeth Parris and 11-year old cousin Abigail Williams were left in the care of an Indian woman called Tituba, who told them about voodoo and witchcraft. Secretly they became a large group of servants listening to and practising this which lead to abnorm behaviour. Dr. William Griggs was sent for by Samuel Parris, who declared they were under witchcraft. The girls was forced by Parris to name Tituba, but then they started accusing other women. Only if the women confessed they had been doing witch trials they wouldn't be executed. 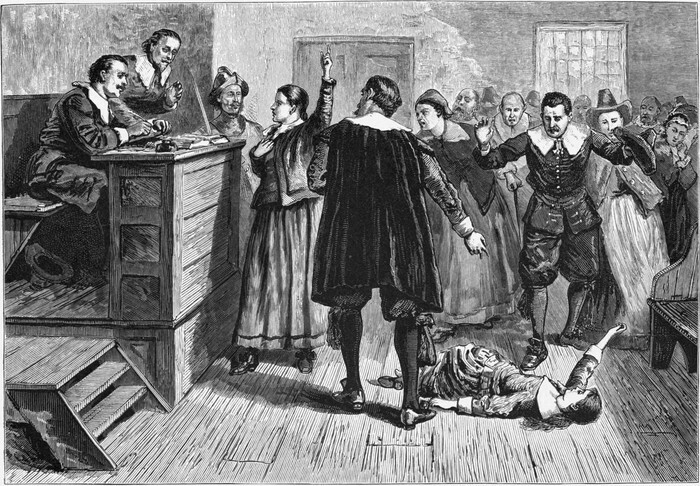 Revenge was one of the main reasons why the oppressed servants chose to accuse the other women in Salem. They wished to get some kind of attention and power in the society and this was probably one of the only chances they would ever get to achieve that. The reason why the judges and Hale accepted to be a part of the witchhunts was probably the same.